Located just 7 km from Sri Lanka’s main international airport, the town of Negombo has some of the island’s best beaches. But there’s more to enjoy at this idyllic coastal destination than just golden sands. 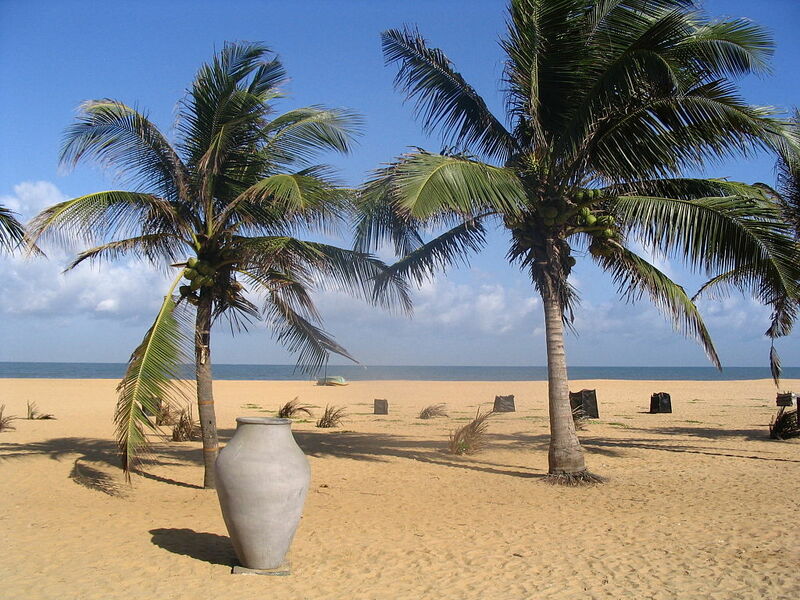 The sun-kissed beaches of Negombo are perfect for just soaking up the sun and working on that perfect tan. Since this west coast getaway is easily accessible from hotels near Colombo Airport you can be on the soft sands in no time, while the inviting waters of the Indian Ocean beckon you to come play. Since Negombo is on the West Coast, the beaches offer views of some truly spectacular sunsets. Evening time is perfect for a beachside stroll with that special someone or even to enjoy cocktails at laid-back dining venues the likes of B-Bums at Heritance Negombo as you watch a glorious sunset. If you are after some adventure, you can head to the beach and find good spots for snorkelling or swimming. Depending on the season, kite surfing can also be tried here, while for an easier activity you can always enjoy kite flying too! For some local culture make it a point to head to the beach area where the main fish market takes place. Visit early enough and you can watch the fishermen returning with their catch which is then sold at a lively auction.